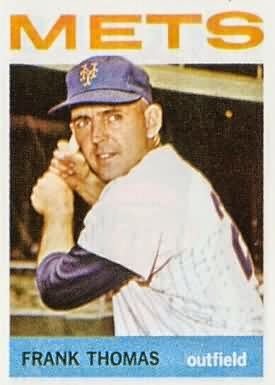 The 1962 Mets were in their first year of existence, on their way to losing a record 120 games. It was a rough season as far as winning games, although it was an important season bringing National League baseball back to New York City. The old fans of the NY Giants & Brooklyn Dodgers took to the Mets & whole new loyal fan base was born. During the first week of August Mets slugger Frank Thomas brought some excitement to the Polo Grounds. Wednesday August 1st,1962: Casey Stengel’s Mets were 26-77 in last place, already 43 games back of first. On this day they hosted Gene Mauch’s seventh place Philadelphia Phillies (50-58). Met pitchers gave up a total of eleven runs, Al Jackson (five earned runs) Ray Daviault (two earned runs) Bob Miller (one earned run) & Willard Hunter (one earned run) in a 11-9 loss. Frank Thomas provided a huge offensive day to start an incredible three day span. On August 1st, Thomas began his big day with a bases loaded walk in the second inning. In the bottom of the 4th, with Joe Christopher, Richie Ashburn & Charlie Neal on base he hit a grand slam HR off future Met, Jack Hamilton. In the bottom of the 6th with the Mets down 10-8 he brought them within a run as he hit a solo HR off pitcher, Dennis Bennett. Thomas completed a two HR six RBI day, the biggest offensive day in team history at that point, which was just four months old. 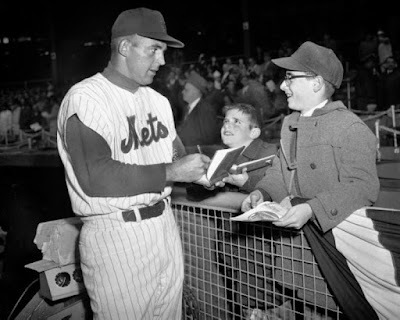 Thursday August 2nd 1962, the Mets would take a 9-4 loss to the Phillies on this day. Philadelphia hurler, Art Mahaffey tossed a complete game, five hitter. 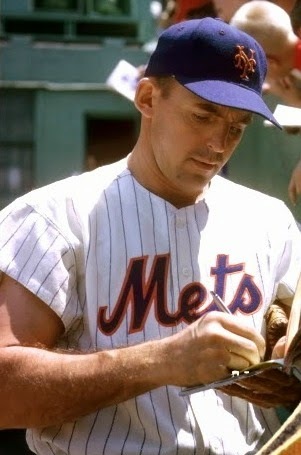 Two of the hits were from "Marvelous' Marv Throneberry, while the other three came from Frank Thomas. In the bottom of the 2nd, Thomas hit his 22nd HR of the year, a long solo shot. Then in the 7th, Thomas connected again, as he hit a line drive HR over the Polo Grounds wall for his second straight multi HR game. 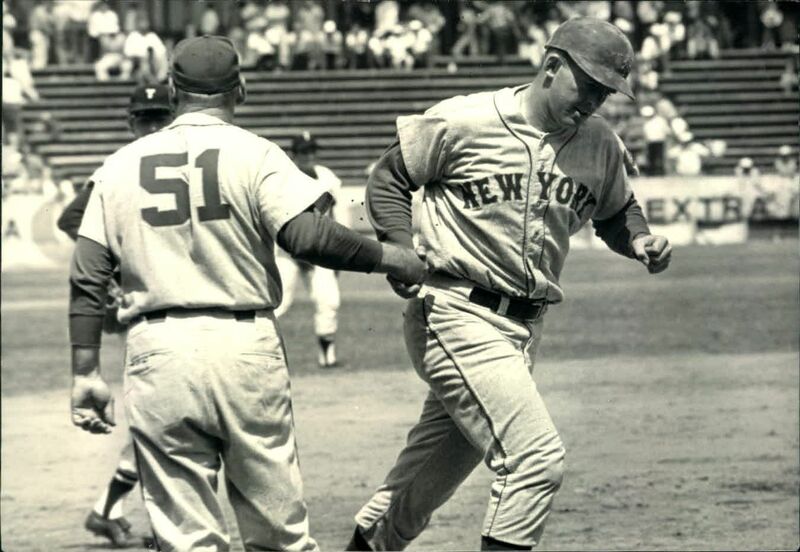 "Marvelous" Marv Throneberry followed with a HR of his own & then blasted another in the 9th inning. Friday August 3rd 1962, Fred Hutchinson’s third place Cincinnati Reds (63-43) were in town & took an 8-5 win in front of just under nine thousand fans. Thomas led off the home 2nd, with a solo HR off the Reds pitcher, Joey Jay. In the 7th, he would hit yet another solo shot, his 25th HR of the year. For Thomas, he hit six HRs with eight hits & ten RBIs over the three games, bringing his average up to .296. On the season he would hit 34 HRs (6th in the NL). In his career he hit 286 HRs (156th all time).